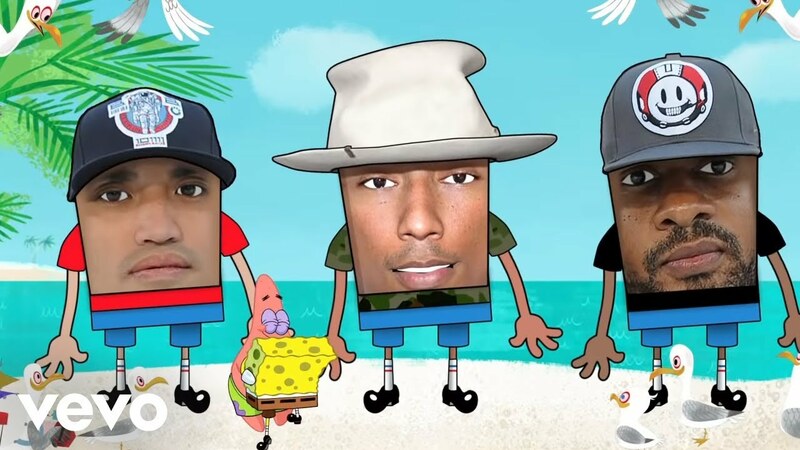 The 'Rock Star' trio are back with the fun-filled animated video for their movie soundtrack song. 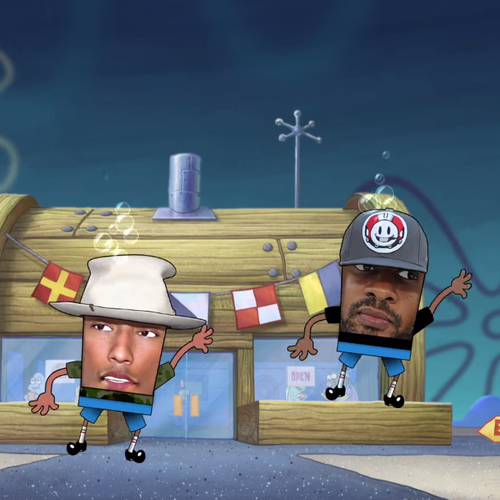 Pharrell & co get to have a small taste of the world of SpongeBob SquarePants in the music video for their hit 'Squeeze Me'. The 'Happy' singer is back with Chad Hugo and Shay Haley with new material for the first time in four years, after teaming up for the soundtrack song to the new animated movie. 'Squeeze' me has already been released, ahead of the cinematic launch of The SpongeBob Movie: Sponge Out Of Water on 20th March in the UK. N.E.R.D. 's 'Squeeze Me' is out now and you can download it right here.